At Berger Harrison, APC, we mainly focus our real estate law practice to dealing with developers, commercial leasing, and financing. If you need help with a real estate law matter, we are confident in our abilities to assist you. Our real estate law lawyers have more than two decades of collective experience and have handled hundreds of cases. We’ve represented buyers, sellers, homeowners’ associations (HOAs), land owners, landlords, tenants, developers, lienholders, companies, and others in a wide array of different transactions and circumstances. As passionate litigators for plaintiffs and defendants alike, we can also tackle matters involving real estate fraud, USPAP violations, and disputes over HOAs, to name a few. 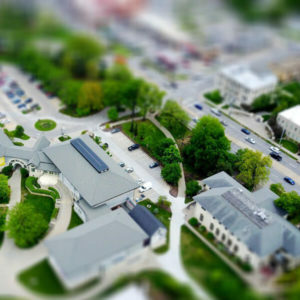 No matter the complex nature of your real estate law issue, we will work diligently in order to seek a favorable resolution. We can utilize our skills and resources in court in order to protect your business’s interests and real estate goals. Known for delivering exceptional customer service, our reputable law firm is always willing to go above and beyond for the companies that we represent. Unlike other law firms that make every effort to keep their clients at arm’s length, we encourage our business clients to become as involved in the development of their case as they wish. We will tailor our approach to your communication preference to ensure you feel at ease and informed. Dealing with a real estate matter can be daunting and confusing. We would be happy to answer any of your questions or address your concerns, in person or over the phone. As our client, you and your business can rest assured that your real estate case will be treated as a top priority. Seek our immediate assistance by calling us today for more information about our client-focused services.